As we enter another Full Moon period with the hard aspects playing their havoc, how we experience and feel about these energies are influenced by the sign and modality the Moon is in. The aspects have not changed their influence, but how we see it, subtly changes, as the Moon moves through the zodiacal signs. With the Full Moon on March 29th – 30th 2010 in the 10th Degree of Libra at 7:27 p.m. PDT, square Pluto, is asking us to harness our emotions and put our trust in our intuition and the Universe, as we enter unknown territories to achieve our goals and to be, where the Universe wants us to be. The aspects are still telling us we must change and do things differently, and to realize that everything in this world is interconnected, and that we need to think and work together if we are to succeed. With this moon in a cardinal sign we can not sit back and allow others or the flow of life to take us to our next destination. This Full Moon is telling or instructing us that we must take the lead and to follow our intuition and hunches to new areas of discoveries, that will benefit us in the long run. Since I feel the Over Lord to the Cardinal sign is Mars, seeing where Mars is in your natal chart in relationship to where the Full Moon falls will give you a pretty good idea of the area you must concentrate on, during this period of time. “The Sabian symbol for the Moon in 10 degrees of Libra and for the Sun in 10 degrees of Aries is taken from “The Sabian Symbols in Astrology by Marc Edmund Jones”, and what follows are my comments. Libra 19 A canoe approaching safety through dangerous waters This is a symbol of the necessary validation of all experience through an acceptance of risk, and of the refinement of personal skills through a direct contact with the recurrent experiences of everyday living. Here the genius of the race is preserved by a fresh and constant participation in life’s transient situations. There is always the goal through which man is led to develop his powers. The keyword is competency. When positive, the degree is conscious and skilled resort to the course of action which leads most surely to success, and when negative, a primitive love of adventure and a wholly unintelligent faith in sheer good luck. Aries 10 A Man teaching new forms for old symbols This is a symbol of the continuous and necessary rectification of understanding through direct and everyday experience, such as brings every factor of inner realization into immediate and personal significance. Here the wisdom of the race is revivified and made available for all through its recurrent and continual validation in human affairs. There is a serving of the many by the one who provides a momentary dramatization for each special phase of a total reality. The keyword is interpretation. When positive, the degree is an exceptional capacity for putting every part of an individual’s heritage to work, and when negative, witless distortion of values and twisted perspective in general events. It is incredible how the Sabian symbols reinforce what the aspects are telling us to do. The canoe which is our higher intuition in touch with the Universe guides us through the terrain and storms to a safe abode. The important thing we need to do is to trust our higher intuition which is represented by the well built canoe to get us through the dangerous waters. It is trust that gives us the perseverance and the courage to step towards the unknown to follow our dreams and hopes. We also need to realize and understand that these ancient laws and rules still apply and work in our modern world, but we need the symbols to be updated to have meaning for us in today’s world. At the same time we must not discard the old symbols, but understand them for what they where, and to realize the energy and power they still have. 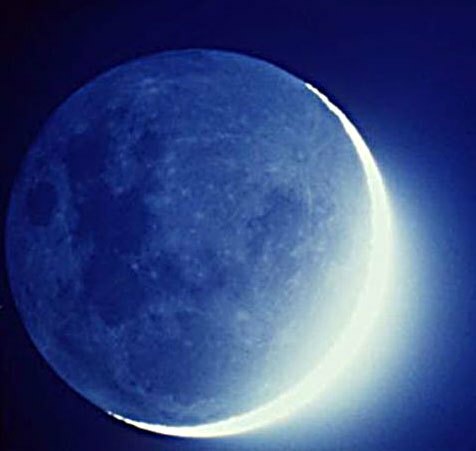 Every New Moon is in a different sign, and its’ energy and message is always different, but it is always the right time to rethink what we have been doing. Do we need to rethink our direction for the coming month, or reaffirm our direction? This is the time to throw out those things that are no longer of the essence and to redirect our thinking to those that will benefit us. This New Moon at 26th Degree Pisces on March 15th 2010 at 2:02 p.m. PDT is conjunct Mercury and Uranus with Jupiter twelve degrees a way in the same sign. When I relate and see these planets in court life in medieval times, a whole new world of delineation comes to mind. With Mercury the court jester and Uranus the court astrologer, conjunct the Sun King, their right to take any credit for a job well done must first go to the King, who takes all the honors at his court. 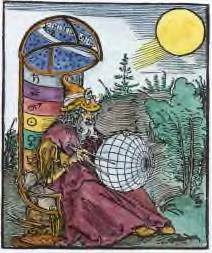 The Sun has a love hate relationship with Mercury, as the court jester undermines the King’s illusions of grandeur, by speaking and relating the truth through his riddles and songs. The Moon Queen at the moment is in harmony with the Sun and has the ability to nurture and encourage all those at court. The Moon Queen buffers the glare and judgment from the Sun king towards Jupiter, the court philosophers and legislators. What this seems to be saying to me is that what we must achieve in this New Moon period, is to quiet our outer and inner voices, so we can hear our inner intuition, and hunches from our private, hidden and spiritual worlds and bring into reality some creative ideas and changes, that which we have forgotten and have lost along the way. We must seek and welcome the unexpected and see how to intertwine it into our philosophy and our life. The Universe is telling us that in order to achieve future happiness, we must not continue the way we have and listen more carefully to our inner and spiritual guides. “The Sabian symbol for the 26th degree of Pisces is taken from “The Sabian Symbols in Astrology by Marc Edmund Jones”, and what follows are my comments. Pisces 26 A new moon that divides its influences This is a symbol of universal initiative as a basic dynamic in any personal scheme of things, and it reveals itself most simply in man’s instinctive and often blind outreach to the reality in which he participates. His action must be tentative until he achieves hi own true self-discovery, but he makes a fine skill of his uncertainty and refuses to commit himself except as he encounters a full response to his deeper realization and ultimate motives. The keyword is finesse. When positive, the degree is a thoroughgoing capitalization on life’s transitions and effective development of every emerging potentiality of self, and when negative, a completely disruptive vacillation. Here the Sabian symbol is reinforcing what the aspect of the conjunction to this New Moon is saying. We must use our instinctive and intuitive forces and abilities to discover our unique style and in developing these abilities will lead to our full potential and the fulfillment of our sojourn in this lifetime, and to accomplish the potential and the importance of this New Moon period.